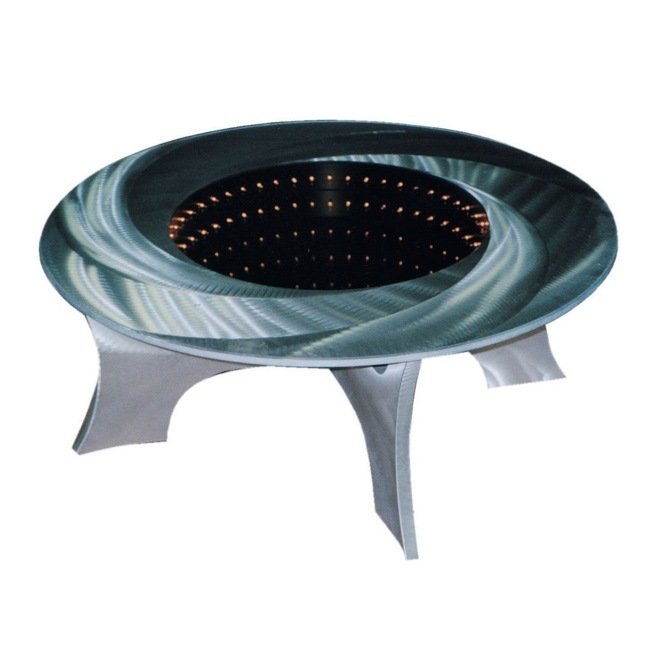 If you’re keen on having a black hole right in your living room and have cash to spare, the Nova Black Hole Illuminated Coffee table comes highly recommended. This John Gilmore designed must-have is perfect for that futuristic setting you want to convey in your crib. Since it’s inspired by those malevolent black holes, the Nova’s neatest feature is the dark void at its enter that’s studded with tiny LED bulbs. Attractive as it appears, don’t fret about seeing your coffee cups and ashtray sucked into oblivion. There’s an invisible glass table top that affords enough space for afternoon tea and coffee sipping while you read the morning paper. Made of aluminum with a silver finish, the Nova is equal parts spaceship and a piece of the cosmos miniaturized for your aesthetic pleasure. Those LED lights are also quite hypnotic, so don’t catch yourself staring into the darkness for too long. Now for the money bit: the Nova Black Hole will set you back $1, 199 but gets 23% shaved off when you buy it here.